Located in the Nicoya Peninsula of Costa Rica, close to Montezuma and Santa Teresa, Rancho Delicioso offers a new program based on Permaculture in an eco villae that you can join and work as a volunteer. You can also join the daily ‘Open Level’ yoga classes offered by the center. Nestled on a cliff edge in Montezuma, Anamaya Resort is an exotic resort. Surrounded by lush green rainforest, this resort offers 28 days/200 hours long yoga teacher certification courses all around the year. You can join this courses and can develop your skill. If you want to make career as a Yoga teacher, you can take this training and this training also include comfortable accommodation facilities, three organic gourmet meals per day, tours and many yoga classes. This retreat center is perfect for both beach goers and nature lovers. Danyasa Eco Resort and Retreat is located in the surfer’s sanctuary, Dominical. This retreat center is formally known as “Bamboo Yoga Play”. Just within a two minute drive you can reach the beach. This center not only offers yoga classes but also lessons on combine writing, dance, visual arts and other aspects of human life. A 100 hour YTT and immersion program is also offered by the center that will make you eligible for Yoga Alliance Certification. Nestled in the pristine and captivating Osa Peninsula, Luna Lodge is an excellent yoga institute. 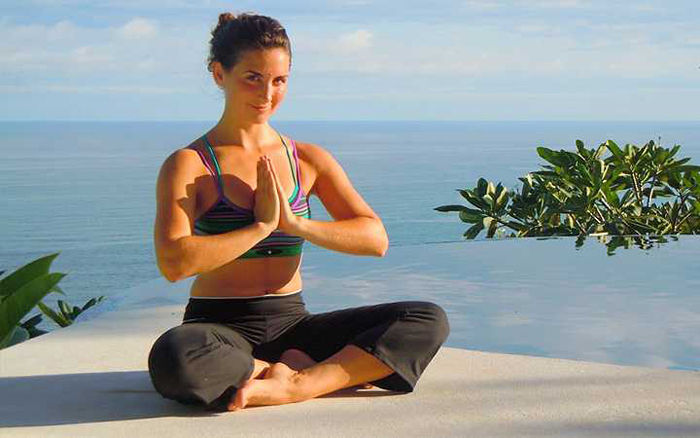 Set close to the Corcovado National Park, this institute offers brilliant yoga services. This self contained and well managed Eco-lodge has been developed in 2000 and it is secluded in a tropical rain forest. Not only yoga classes but also comfortable accommodation, a variety of therapeutic activities including Tai Chi, aromatherapy and also massage therapy is also offered by this lodge. Montezuma Yoga is a great place for the yoga lovers. At this retreat center the practitioners will meet people who have 12 years of experience in Yoga. This center offers quality yoga services and treatment to people visiting Costa Rica. All the courses are customized on the basis of day to day set ups. You can choose whichever course you think most convenient for you. Nosara Yoga Institute is renowned for its quality instructors and state-of-the art yoga facilities. Different types of yoga retreats are offered by this yoga institute frequently. All the sessions are directed by experienced yoga instructors. This Institute also offers Yoga teacher training programs that can help you to develop a career as a Yoga teacher. Located in Mal Pais, on the Nicoya Peninsula, the Pura Vida Adventures offers Yoga and surfing options for women. You can enjoy week long retreat offered by this center and this retreat includes different types of yoga techniques such Vinyasa flow, Hatha, Swasthya, and Kundalini. You will also enjoy yoga classes twice a day, beachfront accommodations, two gourmet meals per day, fresh fruits, herbal teas and also many types of activities. In Pranamar Villas and Yoga Retreat you can choose from 3day/5day/7day yoga packages offered by the retreat. Not only Yoga packages but also all other facilities and amenities are offered by the center to ensure its guests enjoy complete comfort. During practicing your workouts, you will also enjoy watching the amazing ocean view. This retreat center also offers healthy meals that are prepared with organic ingredients. Tucked into the jungle, up on the mountain above Puerto Viejo, Samasati offers excellent yoga facilities. It offers a variety of yoga session, Yoga teacher training program, workshops ad packages. It offers seven-night Yoga in the Caribbean package that includes 0 classes, a 60-minute massage, and horseback riding or a waterfall tour. In Zen Yoga Studio you will meet some wonderful Yoga instructors who will help you achieving eternal peace of mind and comfort.